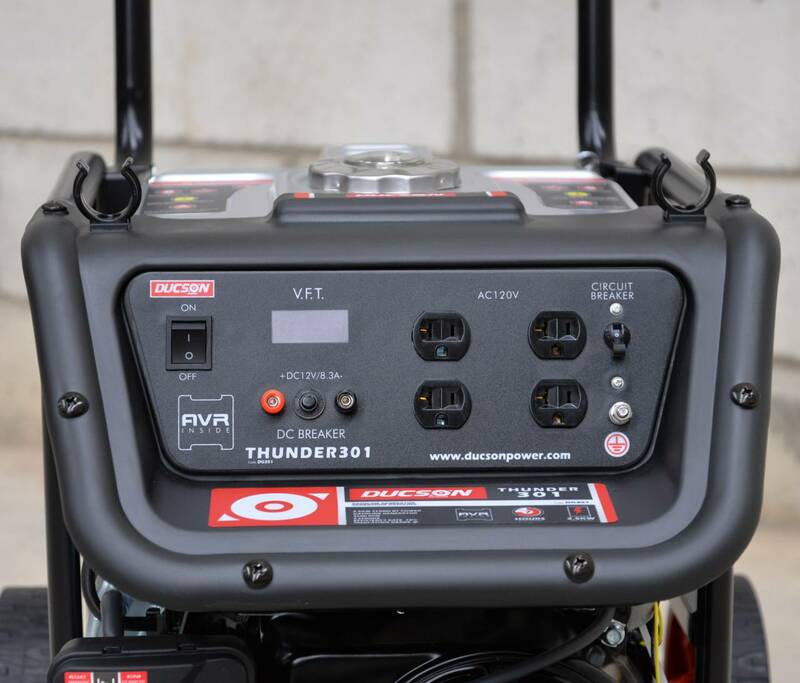 It’s 33kg makes THUNDER301 the lightest industrial generator. 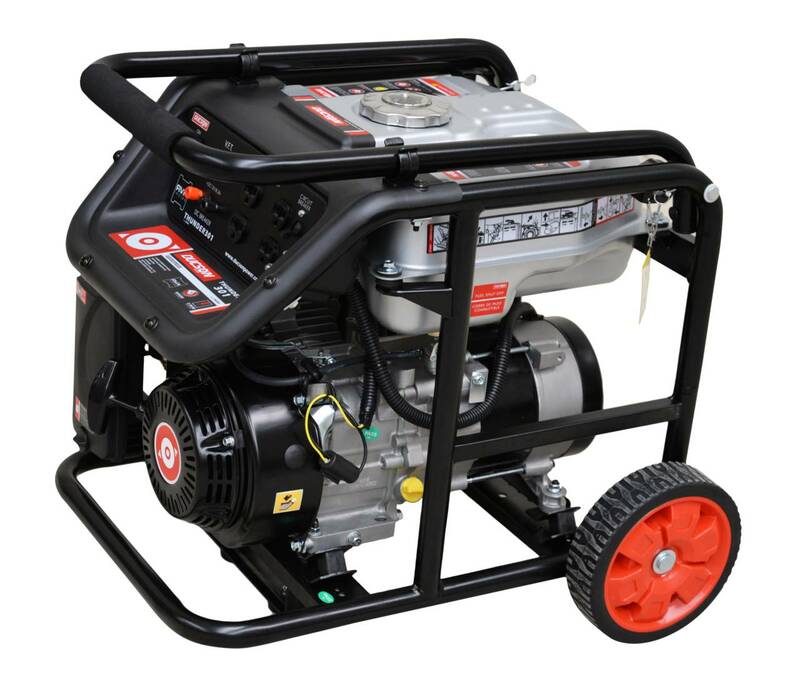 Easy Start OHV engine, strong structure for rough & reliable duty. 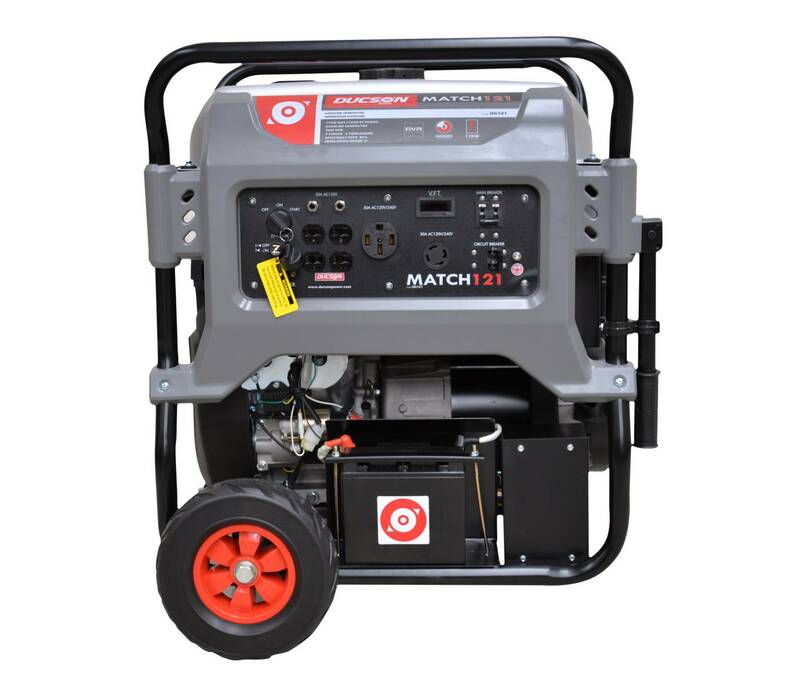 Your generator is covered by an extended warranty for 3 full years. 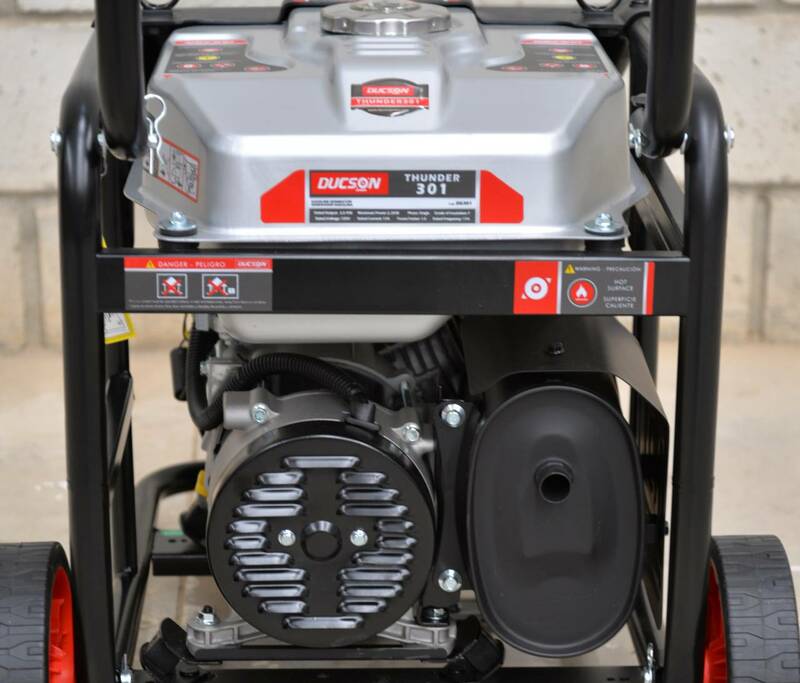 Our Oil Alert System protects the generator by shutting it off when low oil is detected. 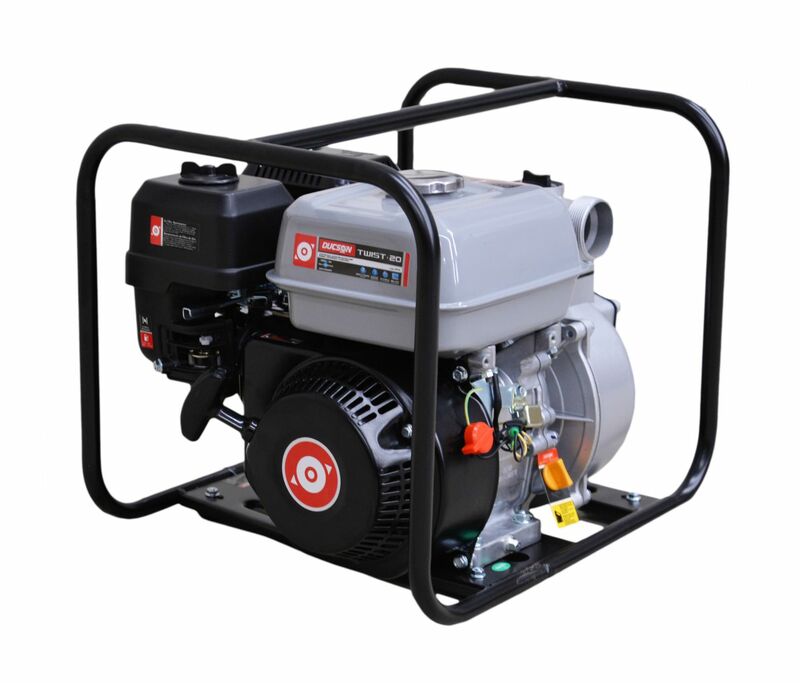 Electronic circuit breakers protect the generator from overload damages. 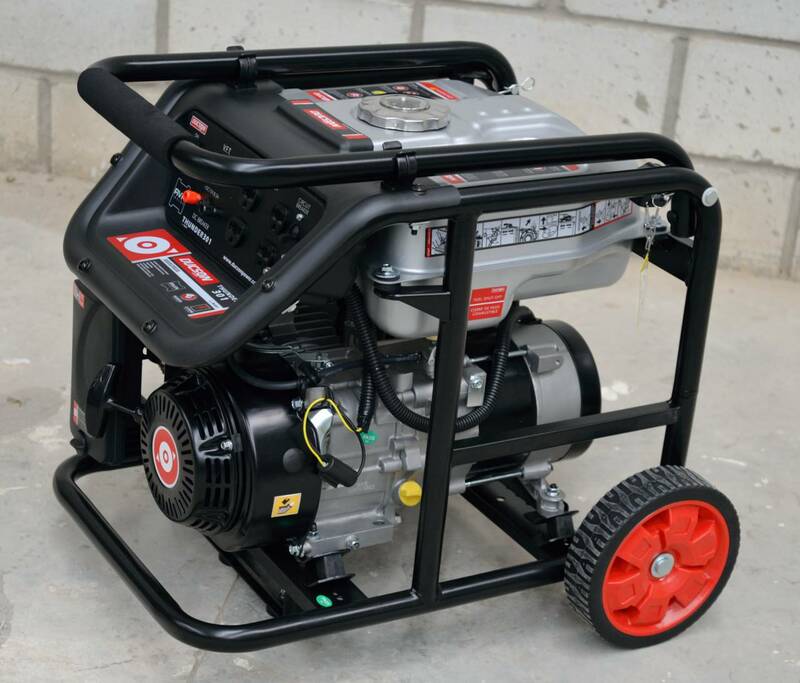 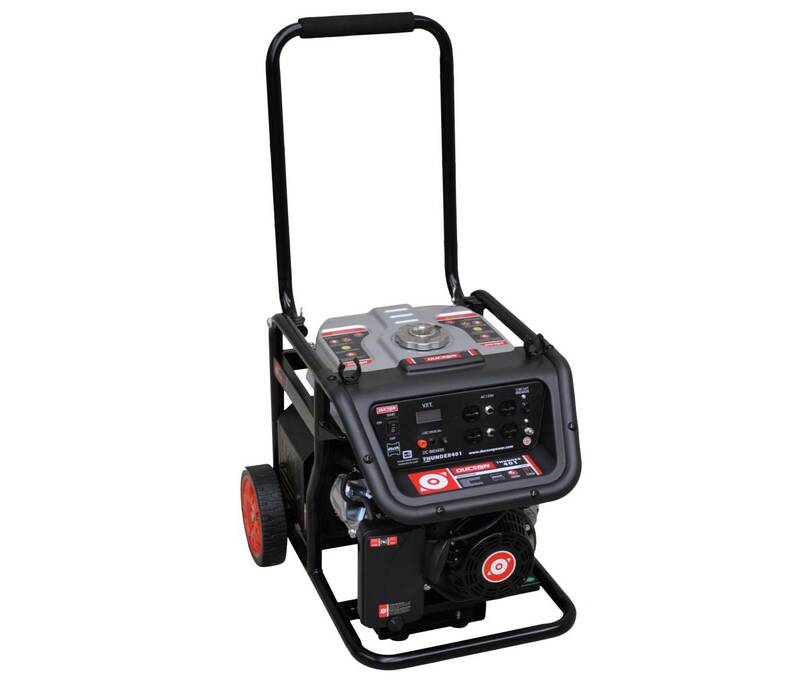 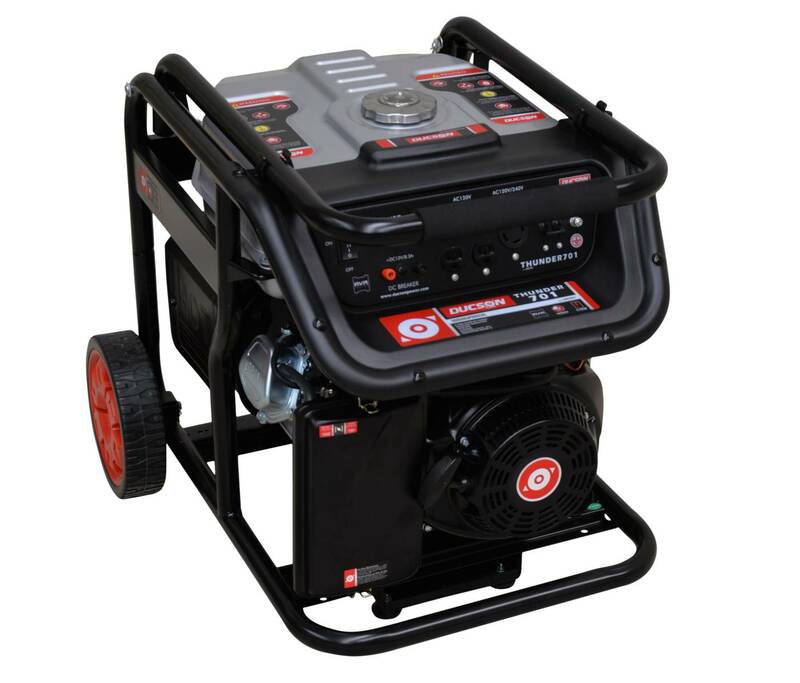 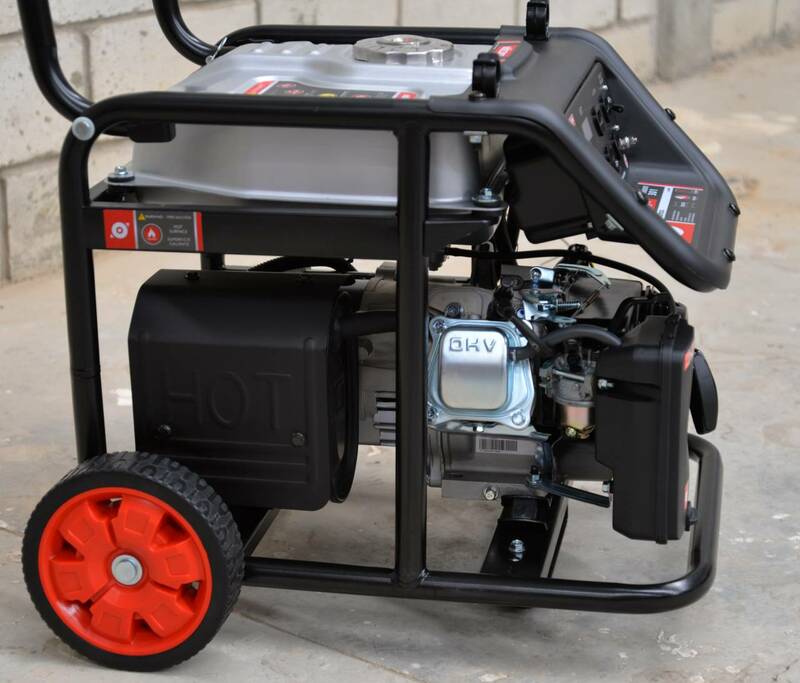 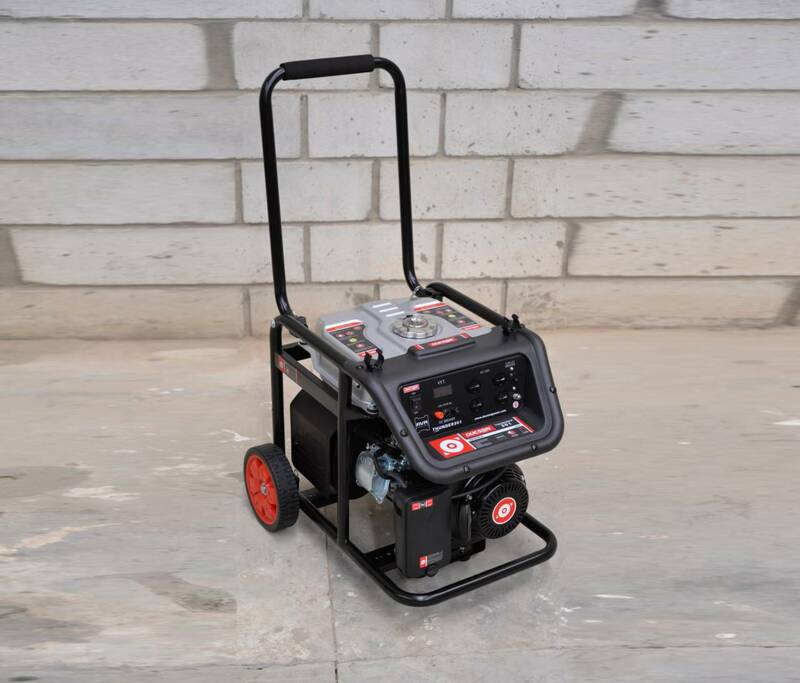 Categorías: Generators, Products, Thunder Series. 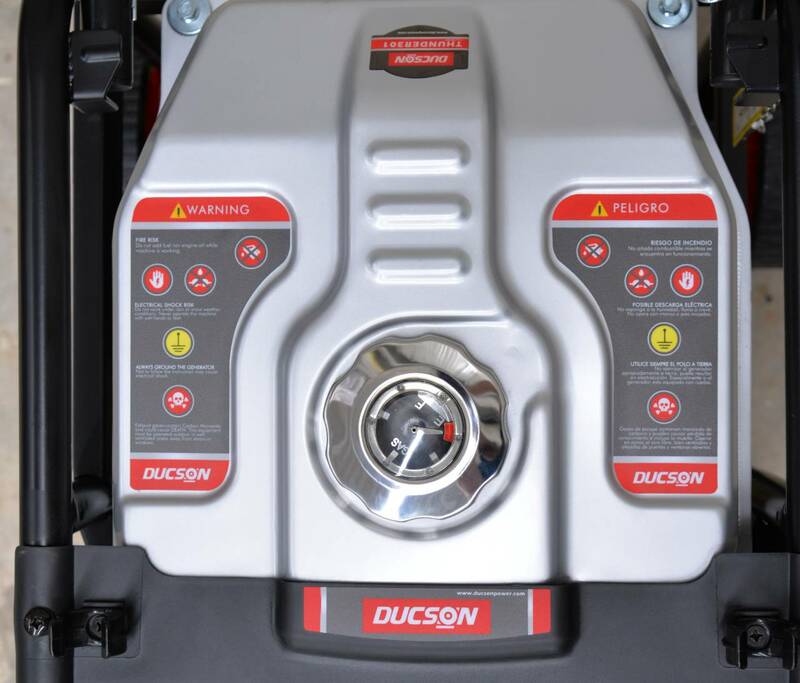 Fuel Tank Capacity 14 (3.7) Gal.